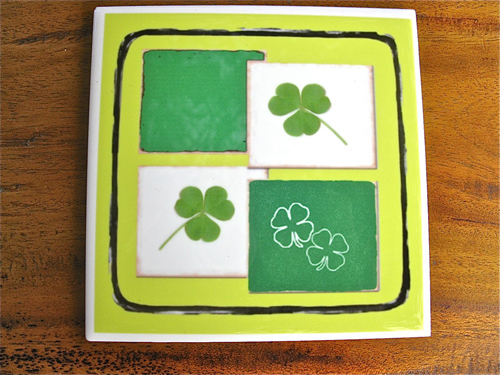 Tile coaster with double the luck of the shamrock and four-leaf clover in a bold design of vivid green and lime. An ideal little gift to brighten someone's house / home with your good luck wishes (perhaps a small housewarming present). Comes gift-wrapped, like all our presents - and we can print a personal message on your behalf.